And ever since he has taken the oath of Uttar Pradesh’s Chief Minister, Yogi has been taking decisions at a very fast pace. Not only this, he also ensures that these decisions are implemented as well. 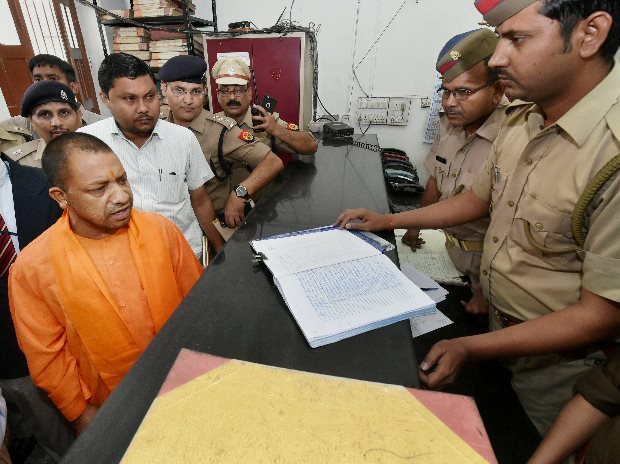 On Thursday, Yogi shocked the police officials of Hazratganj Police Station, Lucknow, by paying a surprise visit and spending 30 minutes there. DGP Javeed Ahmad, IG Satish Ganesh and SSP Manzil Saini were also present with the CM during the inspection. The CM started the inspection with the office room of Inspector Incharge. Then he went to CO office, Ganj Kotwali office and women police station. He also had a conversation with the officials of cyber crime cell apart from visiting CO crime and CCTNS office. While inspecting the women police station, the CM had a discussion with the top officials regarding the facilities provided to women police officers. He asked them to improve the conditions and draw a blueprint regarding the increase in the women workforce. The CM maintained that the relations between the police and the public should be cordial and police should behave with the public in a good manner. He also inspected the facility of sitting and drinking water for the public. On his visit to the cyber crime cell, Yogi asked the officers to give a presentation next week to explain about their preparations for dealing cybercrime in the future, as technology is getting advanced regularly. Yogi also emphasized on the need of cleanliness in the police stations as well as praised the Hazratganj police station for maintaining cleanliness and good atmosphere. He also gave a word of caution to the officials, saying that it was not the last inspection but just a beginning. 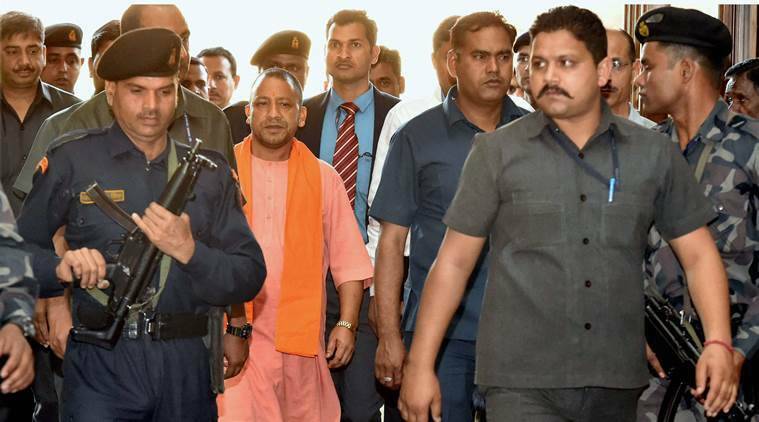 In order to send a strong message that indiscipline won’t be tolerated, more than 100 policemen have been suspended by the Adityanath government. The CM has already banned pan masala, gutka, tobacco products etc. in the government offices after he saw stains on the walls.